Recurring invoices are sent on scheduled basis. You can either set it so that invoices are sent regularly or set it to Auto-BillPay so that payments are made automatically. Go to Recurring Invoices tab then click New. If you don’t have your customer’s credit card information, you can leave Auto-BillPay unchecked. The system will simply send invoices to your customer on a regular basis. Your customer will have the option to sign up for Auto-BillPay when paying for the invoice online. Click the appropriate button to finish setting up your recurring invoice. Save Draft – this will simply save the recurring invoice and won’t be processed by the system. Activate & Send First Invoice – this will save, activate and send the first invoice to your customer. If your recurring invoice is Auto-BillPay, it will create the first invoice and charge your customer’s credit card automatically. When your recurring invoices all start on a certain date, i.e. start of the month, and your customer signs up in the middle of the month, you may want to charge a prorated amount from the date they signed up to the start of the month. To do that, simply check the box called Add Prorated Amount On Next Invoice. When the box is checked and the first invoice is generated, a line item will be added to the invoice containing the prorated amount. 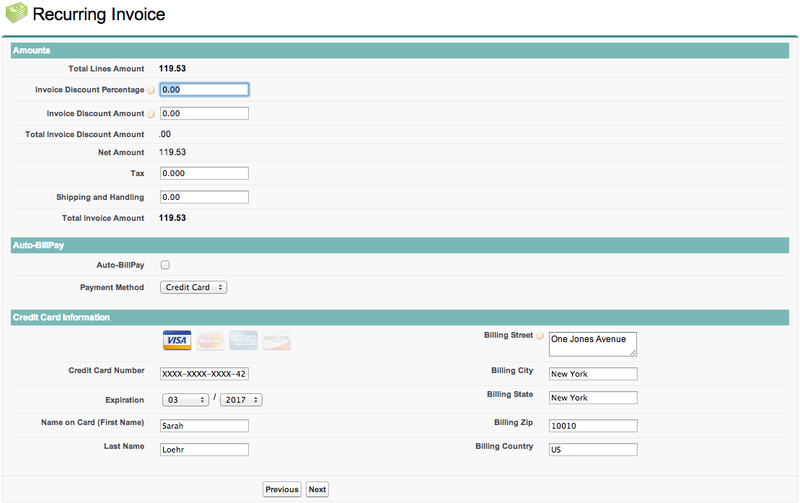 Go to the Recurring Invoices tab and select the recurring invoice. 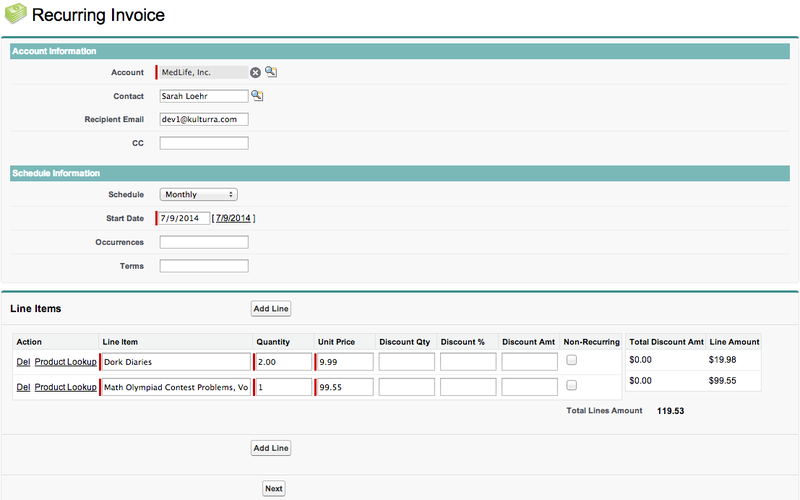 Follow onscreen instructions to create the invoice. If the recurring invoice is set for Auto-BillPay, a payment will also be processed against that invoice.